Craig Supplee sends these pictures of a wing car he built on returning to the sport, after a long vacation. Welcome back, Craig, and great work! See also the previous page, for some of Craig's earlier work. Here are pictures of a recent chassis I built using piano wire and some brass stock for weight. 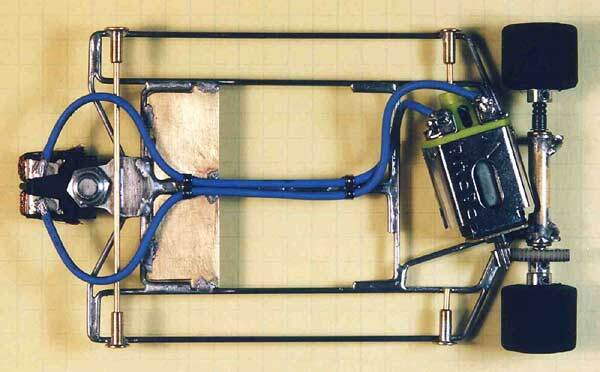 This is my first chassis attempt after 35 years. It was a lot of fun to design and build. 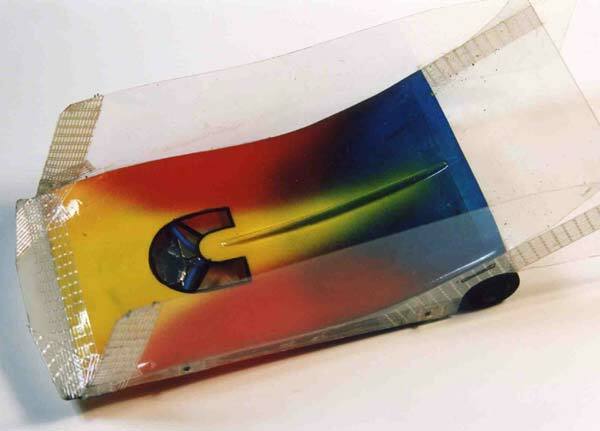 It was also my first wing car body and paint job. 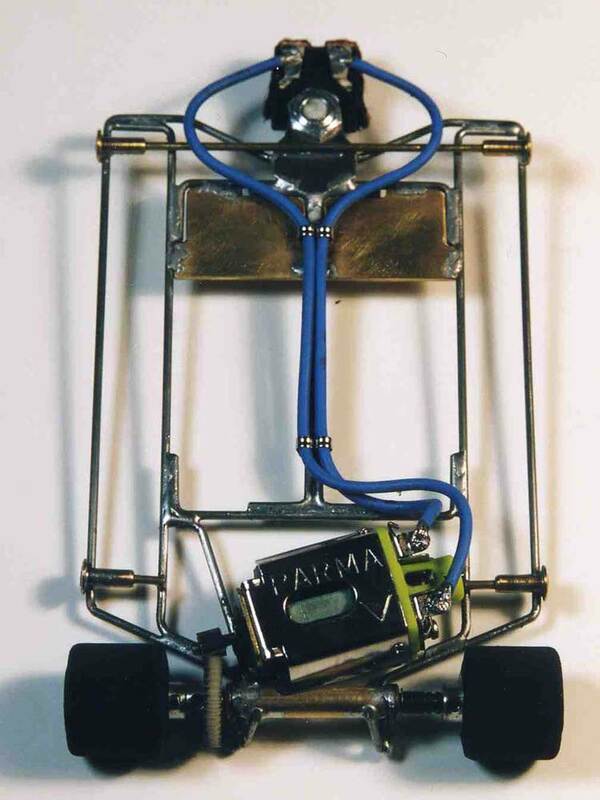 This chassis uses a Parma S16D motor with a Pro Slot Outlaw S16D arm. The best I have done with it is 4.06 secs. on the King. I can't race it in any events, but it sure is great at helping me to warm up my reflexes.